Fundraiser and book proceeds to benefit classes for those with multiple sclerosis and physical challenges. Don’t try to tell Mindy Eisenberg you’re not in condition to do yoga. She’ll step up to show you otherwise. 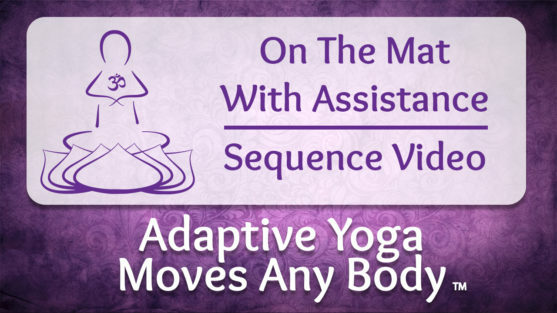 Eisenberg, who has studied yoga for 20 years and has taught adaptive yoga for 10 years, works with 80 physically challenged students each week, leading a team handling donation-only small group classes at six area locations. 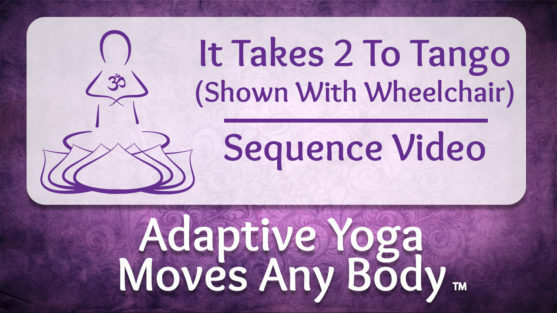 At the urging of her students and with their help, she just completed a self-published book, Adaptive Yoga Moves Any Body, to be introduced at a fundraiser benefiting her classes, Yoga Moves MS, and the Multiple Sclerosis Foundation, a sponsor of five of the nonprofit sessions. Party With a Purpose! will be held Saturday evening, Nov. 21, at the Andiamo Banquet Center in Warren. 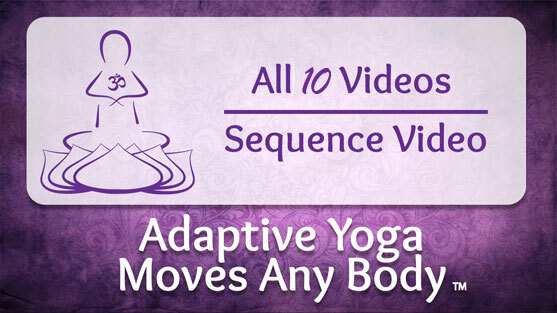 “My students wanted a guide for yoga they could use at home,” says Eisenberg, 51, who accepts tuition fees as people can afford them and will apply book proceeds to both support the classes and offer copies to readers on limited budgets. Eisenberg of Franklin became interested in yoga at the suggestion of a friend. Soon after starting classes, she was an enthusiast because the sessions made her feel much better. After training to do teaching, she was asked to do volunteer classes for a doctor’s support group, and those participants wanted regular sessions. Her late mother’s battle with MS motivated Eisenberg to bring the practice to those with physical problems. Her goal is to make each student feel more comfortable in his or her body. “My training is from various yoga instructors who specialize in adaptive yoga around the country,” says Eisenberg, a member of Congregation Shaarey Zedek and Adat Shalom Synagogue, where she works with Rabbi Rachel Shere to conduct Soulful Yoga, weaving religious themes into the workouts. 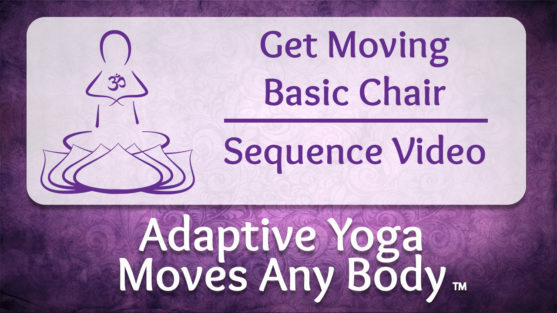 Promoting practice frequency was an important motivation for the book, which gives suggestions for yoga sequences while standing, sitting or relying on a mat. “It took five years to write the book,” says Eisenberg, who worked with Katherine Phillips as editor, Elayne Gross and Lauren McRae as photographers and Eric Keller as designer. In its seventh year, the fundraising event will honor keynote speaker Matthew Sanford, an instructor who has used yoga to overcome his own physical impairments. Also to be honored are Mirela Cerghet, M.D. and Ph.D., a senior neurologist in the MS Center at Henry Ford Hospital; Dr. Esther Ingber Young, D.O., an associate professor at Oakland University and Michigan State University Medical School; and Robin Wine, an MS warrior and community leader, who volunteers with Jewish seniors in West Bloomfield. Wine of Orchard Lake was diagnosed with MS in 1997 and has been a champion in fighting for the cause. She inspires those around her with her unwavering positive attitude. Despite the challenges of MS, Wine can be seen traveling the world in her pink mobility scooter, which allows her to remain independent. She believes a positive attitude and being surrounded by positive people is the key to living with MS.
Wine has done much work for the Multiple Sclerosis Foundation behind the scenes with little recognition. She is married to Gary Wine and they have two grown daughters. 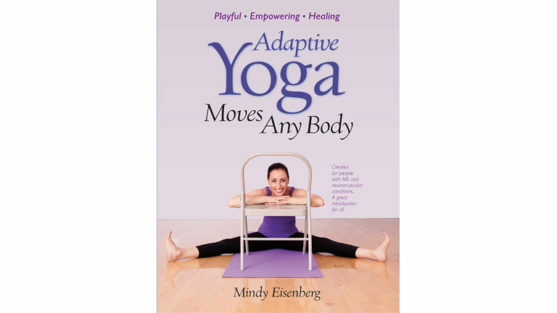 For information about adaptive yoga classes, Eisenberg’s book ($39) or to register for the fundraiser, go to yogamovesms.org. Party with a Purpose! is at 7 p.m. Sat., Nov. 21, at Andiamo Banquet Center, 7096 E. 14 Mile, Warren. Tickets, including dinner, are $100/$150 for pre-glow and book signing with keynoter Matthew Sanford.